Have you ever said something… then immediately wished you could take it back? Maybe you called someone a name… or gave a gruff response when someone asked you a perfectly harmless question. We’ve all been there: getting mad, or frustrated, and saying things that maybe we shouldn’t. And that’s exactly what happens to the main character in today’s story. She puts some hurtful words out there… and you won’t believe what happens next! 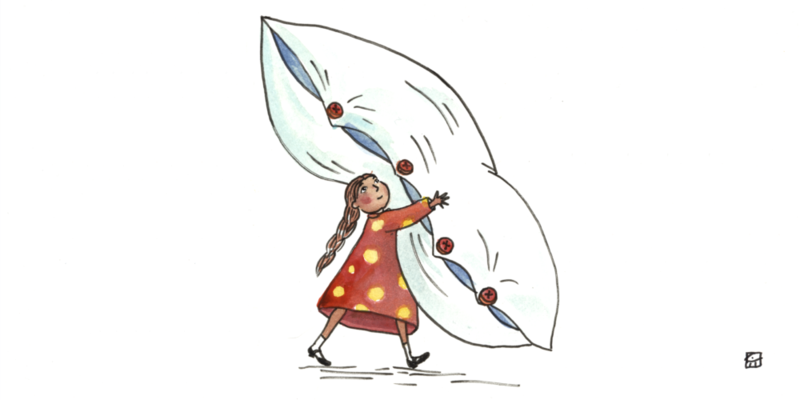 Today, our tale is called “Maya’s Feathers.” This story goes back a long, long time, to Jewish communities in Eastern Europe. Special thanks to this week’s actors: Evan Casey, James Konicek, Mary Ann Nichols, Tracy Olivera, Sophie Williams and Vella Lovell. You can see Vella in “Crazy Ex-Girlfriend,” on The CW Television Network and you can hear Vella in “She-Ra and the Princesses of Power,” on Netflix. 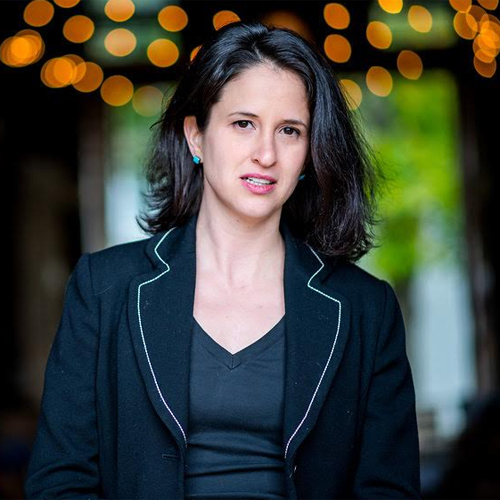 "Maya's Feathers"was adapted by Circle Round’s executive producer, Jessica Alpert, and edited by Rebecca Sheir. Thanks to Rabbi Keith Stern of Temple Beth Avodah in Newton, Massachusetts who introduced us to this folktale. 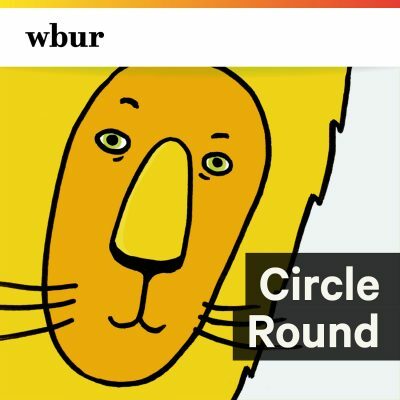 Circle Round’s original music and sound design is by Eric Shimelonis. Our artist is Sabina Hahn. Our intern is Gabi Mrozowski. Do you remember a time when you said something you wish you hadn’t? Maybe you teased a friend or said angry words to someone in your family. It happens to all of us sometimes… even grown-ups! Sit down with someone you love... tell them the words you used and ask them if they’ve ever said something they wish they hadn’t. Like Maya’s feathers, you can’t take those words back, but you sure can think about ways to be more thoughtful the next time. 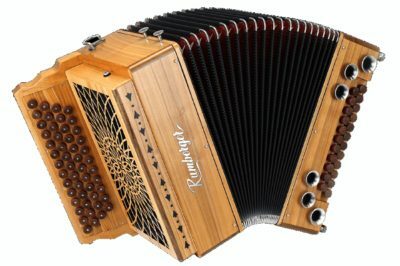 In our British folktale, “100 Rooms,” the featured instrument was a keyboard accordion, where you bring the bellows in and out as one of your hands plays keys like a piano, and the other hand pushes buttons. The diatonic accordion, on the other hand, has only buttons, on both sides of the bellows. And what’s more, you can change the pitch of those buttons when you change the direction of the bellows; so if you’re pushing the bellows in and playing a C, that same note might turn in to a D once you pull the bellows out! We chose the diatonic accordion to underscore this Eastern European tale for two reasons: (1) the instrument has deep ties to folk and dance music from that part of the world, and (2) the light, playful sound captures the whimsical nature of Maya’s magical adventure. NARRATOR: In a small town there lived a girl... named Maya. Maya shared a cozy cottage with her mother, and her three younger siblings: Harry, Birdie and Nicola. Maya’s mother was a seamstress. At her little shop in the middle of town she created beautiful coats, dresses and suits for some of her wealthier neighbors. While she was away, Maya did her best take care of Harry, Birdie and Nicola. One morning, Maya was feeding her brother and sisters breakfast. Mama was already at the workshop, so it was up to Maya to get her siblings out of the house. As usual, the boisterous little children were running late. MAYA: Harry, tie your shoes! Nicola, brush your hair! Birdie, Put on your sweater! We have to get to school on time! (sigh) Seriously. You three are as slow as turtles! NARRATOR: Nicola, the youngest of the sisters, looked up at Maya with tears in her eyes. NICOLA: “Turtles”!?! That’s not very nice! We’re trying to move as fast as we can, Maya! MAYA: (frustrated, but trying to soften a bit) Well, let’s get going! After I drop you off, I need to visit Mama’s workshop for a while. NARRATOR: Maya spent part of each day as an apprentice at her mother’s shop. She loved being alone with her mama. It was their special time. MAMA: Maya... Can you please take this hem and use your seam ripper to pull it out? Somehow I made it too short. NARRATOR: While Maya and her mother worked, an older woman… Mrs. Meyer… breezed through the door. Mrs. Meyer always wore a big, fancy hat... and always fanned herself with it as she complained. And Mrs. Meyer always complained. About her children…. her aches and pains… her noisy neighbors… everything. But she was a regular customer, and mama was always kind to her. MAMA: Hello, Mrs. Meyer. Another crisp day out there, huh? So, what can we do for you? NARRATOR: Mrs. Meyer fanned herself with her hat. MAMA: (the picture of patience) I’m sorry, Mrs. Meyer. We’ll take a look at it today. Why don’t you come back tomorrow? NARRATOR: Mrs. Meyer tossed the sweater on the counter, put her big fancy hat back on her head, then stomped out the door. MAYA: Gosh. What a rude woman! Sometimes, when she scrunches her nose up, I think she looks like a mean cat! MAMA: Oh, Maya, be nice! Who knows why Mrs. Meyer is in a bad mood. Maybe she isn’t feeling well. It probably has nothing to do with us. NARRATOR: Later that day, another regular customer swung by the shop. Like Mrs. Meyer, Dr. Stern was older, and he loved... to talk. DR. STERN: So then my daughter comes to visit and she reads me the newspaper and you simply won’t believe it! Mrs. Milner’s son… the one who used to be best friends with Mrs. Moscowitz’s son…? The short little kid with the glasses like soda bottles...? Oh, he used to be such a nice boy… such a nice boy! NARRATOR: He talked and talked and talked. Sometimes Maya wondered if he had time to breathe. DR. STERN: (fade up again) Anyway, Mrs. Milner’s son moved far away and went to university and then he invented this fancy new contraption! I don’t even know how to pronounce it! And now, would you believe it, he barely comes home to visit! NARRATOR: Maya’s mother nodded and smiled. Maya, on the other hand, rolled her eyes. When, at last, Dr. Stern went home, Maya heaved a sigh of relief. MAYA: (big sigh of relief) Yeesh! Does that man ever stop talking?!? It’s like he’s a parrot, only he’s repeating his own words! MAMA: Oh, Maya, try to understand. Dr. Stern is probably just lonely. You know he lives at home, all by himself. Listen, that’s enough work for today; thank you for your help, Maya. Now can you please go home and make sure your younger siblings are bathed and fed some dinner? I’ll be back as soon as I can. NARRATOR: So Maya headed home... opened the door to her cottage... and when she looked at the kitchen table… she gasped. NARRATOR: She’d never seen anything like it! ...And you probably haven’t, either. We’ll tell you more… after a quick break. Before the break we met a big sister named Maya, and her three younger siblings. As the oldest child, Maya helped take care of the little ones while her mother worked as a seamstress in town. Maya often lent a hand at her mother’s shop. There she met all the town regulars and sometimes, she got frustrated with them… and said mean things. She just couldn’t stop herself! One day... after helping her mother rip out some seams... Maya headed home to make dinner for her brother and sisters. When she walked through the door… can you guess what she saw? NARRATOR: Each turtle was wearing a shirt or a dress: the same shirts and dresses Maya had helped her siblings put on that morning! You know… when Harry, Birdie and Nicola were running late... and Maya had complained that they were, yes, “as slow as turtles”! MAYA: Oh no! Harry, Birdie, Nicola! What have I done? Listen - don’t move a muscle. (flustered) Or, a shell! I’ll be back as fast as I can! NARRATOR: Quickly, Maya turned around and started running back to her mother’s shop. MAYA: (distressed) Oh no! Oh no! What will I tell mama? NARRATOR: As Maya sprinted through the town, she almost tripped over a cat that was walking through the middle of the market. MAYA: Yikes! Sorry about that, kitty! I didn’t see you! NARRATOR: Maya looked down and noticed the cat was dragging a big, fancy hat: one Maya had seen countless times before. MAYA: (realizing) Mrs. Meyer?! Is that YOU!?!?!? Oh my goodness! What is HAPPENING AROUND HERE?! NARRATOR: When Maya reached her mama’s shop, she burst through the door, breathless. MAYA: Mama! Mama! You won’t believe this but my brother and sisters have turned into turtles. And Mrs. Meyer! She’s become a cat! NARRATOR: Suddenly, there was a squawking sound by the window. Maya spun her head around, and can you guess what she saw? And who had Maya referred to as “a parrot” earlier that day? MAYA: What is going on?! NARRATOR: Maya expected her mother to leap up in surprise. Instead, Mama seemed calmer than ever as she sat at her sewing machine. She took off her glasses and handed Maya a glass of water. MAMA: (very calm) Maya, take a deep breath. Everything is going to be okay. MAYA: How can you possibly know that? MAMA: (knowing, mysterious) Well, let’s just say something like this might have happened to me when I was your age. Listen. Go visit your Uncle Leo up the hill, at the edge of town. He’ll know exactly what to do. But you’ll need... this. NARRATOR: Mama reached down under her sewing machine, and handed Maya… a big, feather pillow. MAYA: A feather pillow? Why? MAMA: (knowing, a bit mysterious) Just trust me. NARRATOR: So, tucking the big, feather pillow under her arm, Maya raced over to Uncle Leo’s house. It was a breezy evening, and Maya felt the wind in her face as she dashed up the hill where he lived. As always, her favorite uncle had a big smile on his face when he answered the door. LEO: Maya! What a lovely surprise! What brings you here this fine evening? MAYA: Uncle Leo, you have to help me. (very quickly and anxiously) You see, my sisters and brother have turned into turtles... and Mrs. Meyer’s become a cat… and Dr. Stern is a parrot and… and... I just don’t know what to do! NARRATOR: Uncle Leo ran his fingers through his long, white beard. LEO: Okay, Maya… take a deep breath. You know… I’ve actually seen this happen before. MAYA: That’s what my mama said! NARRATOR: Uncle Leo noticed the big, feather pillow tucked under Maya’s arm. LEO: Ahhh. And I see she sent you with the exact tool we need. MAYA: You mean, this pillow? Yeah - I have no idea what it’s for. LEO: Well, I’ll show you. Here. Come out to the back porch. NARRATOR: The porch offered a lovely view of the town below. Maya marveled at the way the lit-up houses and street lamps twinkled in the night. The evening breeze blew Uncle Leo’s long white beard this way and that. LEO: Now, Maya. You worked at the shop today. By any chance, do you have your seam ripper with you? MAYA: I do! Mama had me ripping stitches so she could redo a hem. LEO: Good. Then here’s what I need you to do. Take that seam ripper… and tear open that pillow. NARRATOR: Maya’s eyes grew wide. LEO: (interrupting) No “buts.” Just do as I say. NARRATOR: So Maya took the seam ripper from her pocket, held it to the pillow’s seam, and began… to tear. Immediately, the feathers from inside the pillow came flying out, and... as the wind picked up... they went drifting all the way down the hill, toward the town. LEO: Okay Maya. Now I need you to go collect those feathers. MAYA: But Uncle Leo, the feathers have drifted all over the place! Down the hill and across the town! There’s no way I can find them all! NARRATOR: Maya shook her head in confusion. LEO: Maya. What you say is true! Once you release those feathers, you will never find them again. It’s an awful lot... like your words. MAYA: (not yet getting it) My words…? MAYA: ...than those feathers can! NARRATOR: Uncle Leo’s eyes twinkled as bright as the houses and street lamps in the town below. Gently, he placed a hand on Maya’s shoulder. LEO: My child. It’s alright to get mad, or frustrated. But before you say something you can’t take back… take a deep breath… and think. Treat your words... like feathers. NARRATOR: That night, as Maya walked through town, once again, she saw Mrs. Meyer and Dr. Stern. Only Mrs. Meyer was buying groceries... and Dr. Stern was chatting with the blacksmith... no fur or feathers to be seen. As Maya passed them, she offered a friendly wave, and they waved back. And when Maya got back home, who else did she see but Harry, Birdie, and Nicola… looking like themselves again… playing a game of cards with their mother. They all smiled at Maya as she walked in. MAYA: Boy, you have no idea how happy I am to see you all! Harry, Birdie, Nicola, I am so sorry for being short with you this morning. Mind if I join your game? NARRATOR: And as Maya sat down at the table with her family… her hard-working mother and her wonderfully boisterous little siblings… she noticed her heart felt light.